Flat Creek Enoteca, Inwood Estates Winery & Bistro and Pontotoc Vineyard. If you love traveling to taste wines, then we have such a great selection in Texas. This list of new members is just to the Texas Hill Country Wineries. There is the Way Out Wineries, Top of the Texas Hill Country Wineries and others to be explored. We love sending our guest on day trips to enjoy the experience of Texas wines. With warmer days and still cool nights, you should consider planning a Romantic getaway in the Texas hill country. Not only do we have great wineries, our local restaurants offer up some of the best foods to enjoy also. 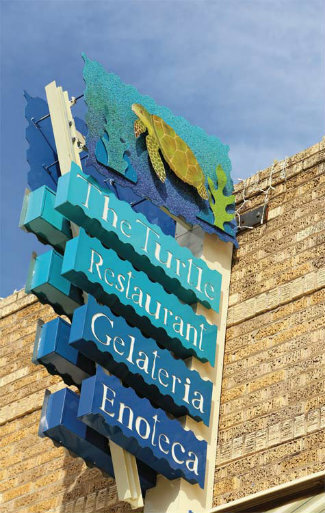 The Turtle Enoteca is one of our favorites for a laid back slow food experience. Or maybe a big juicy steak is your preference, then Humphrey Pete’s is the place to go. LaBotana offers great Mexican food and of course the fun, funky Runaway Trail has the best fries and Blue cheese burgers anywhere. So check out our availability calendar and let’s plan a great getaway for you and your special someone, or even make it a fun trip with friends. This entry was posted in Texas Wine Trail and tagged tx wines, wineries in Texas by admin. Bookmark the permalink. Texas Hill Country Wineries is one of the good selection when it comes to wines selection. Thanks for sharing your blogs here.